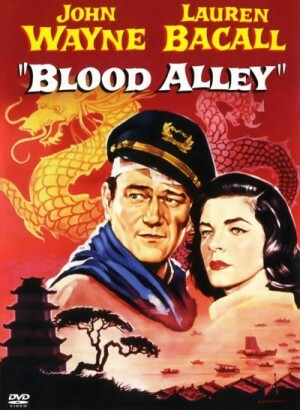 Swaggering seaman Tom Wilder (John Wayne) comes to the rescue of Chinese villagers seeking to escape the yoke of communism. 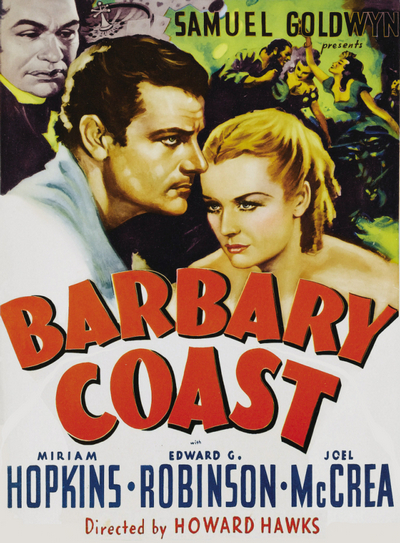 Persuaded by a missionary's daughter (Lauren Bacall) to undertake the task, the Duke reluctantly agrees to transport the group -- on an old paddle steamer -- through the hazardous Formosa Straits to safe harbor in Hong Kong. On a journey marked by peril, the determined band must outwit the fierce forces of the Red Menace. 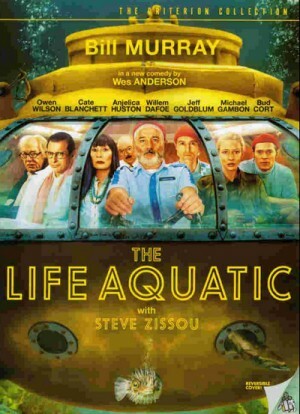 Bogart plays Harry `Steve' Morgan, a cynical fishing-boat owner, who's holed up in Martinique during World War Two with trusty sidekick Eddie `The Rummy' (Walter Brennan). 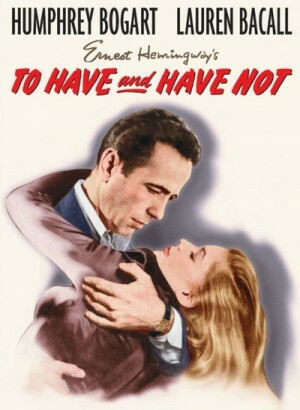 Reluctant to throw in his lot with either the Vichy government of the free French forces Steve's life is transformed when a gorgeous woman (teen model Lauren Bacall in her screen debut) pitches up at his hotel, needing help to get off of the island. After a customer who owes him a large sum fails to pay, boat captain Harry Morgan is forced against his better judgement to violate his neutrality and to take a job for the resistance transporting a fugitive on the run from the Nazis to Martinique. Maindrain Pace (H.B. 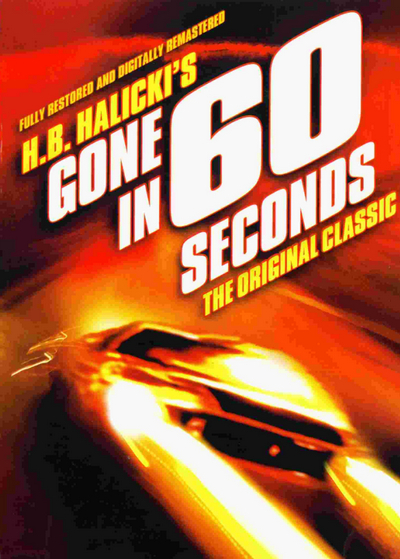 Halicki). Everyone knows him as an intelligent, respectable insurance investigator; they also know that he runs a quality auto shop in town. What very few know is that he is the leader of a group of professional car thieves. If a car disappears, it's most likely Pace's gang that's done it. Today is Tuesday and a very valued client has just contacted Pace with an exceptional order. The buyer wants Pace to deliver 48 specific cars to him by Saturday. All are very high-end cars ranging from Mustangs to limousines, making the order difficult to fill under the time limit. Still, Pace savors the challenge and agrees to complete the order. Forty-seven of the cars they are able to steal with barely a hitch, but the 48th, codenamed Eleanor, is going to cause him more problems than he could ever have imagined. Unfortunately, by random chance, some undercover cops witness Pace stealing Eleanor. 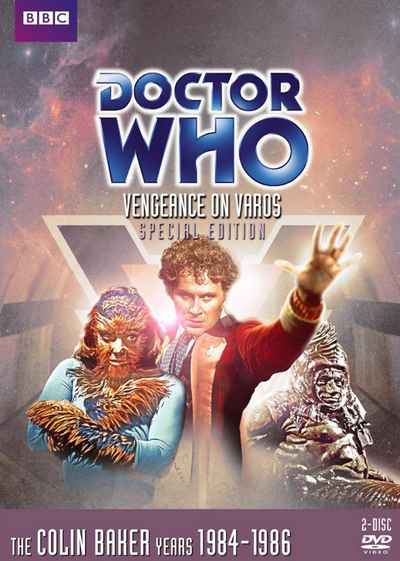 The latest Doctor Who Special Edition DVD is Vengeance on Varos. Part of the 22nd season, this two-part serial originally aired in January 1985. The TARDIS is adrift. Deprived of a vital power source, the Doctor (Colin Baker) and Peri (Nicola Bryant) have one last hope: the planet Varos. But Varos is a dangerous place. Trapped in the Punishment Dome, the Doctor and Peri must fight for their lives-and save a starving population from the machinations of a reptilian enemy. Plentiful extras include audio commentary, exclusive featurettes and much more! Remastered picture and sound. 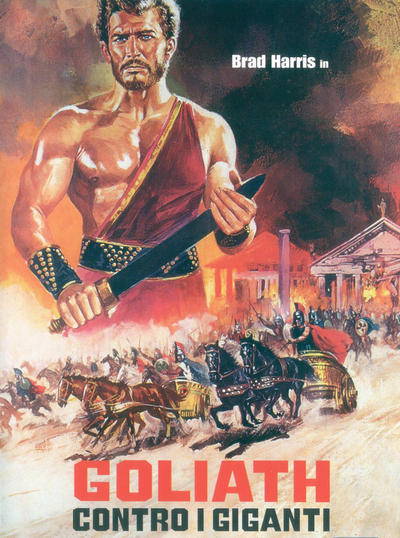 Goliath (Brad Harris) plans on returning home after the conclusion of a bloody war that lasted five long years. In his absence Burkhan (Fernando Rey) has taken over his home land and he doesn’t want to lose control of his throne at any cost. On the night before his voyage home Goliath narrowly escapes death at the hands of two assassins. The next morning Goliath sets sail via a sea voyage to his home land. Along the way he meets many hardships and loses several friends. Goliath rushes home when word reaches him about Burkhan’s treachery. Will Goliath be able to defect Burkhan and free his people from his evil rule? 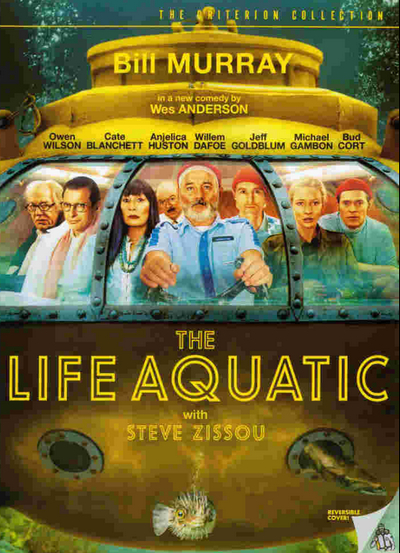 In 1880, a group of European aristocrats arrive in New Mexico where they have organized a hunting party led by their guide, Bosky Fulton. Even though their presence violates a territorial agreement with the Apaches, Fulton ignores it, placing his clients in great danger. When the Apaches stage a raid on the hunting party, Fulton escapes with the wife of one of the hunters and all of the supplies and ammunition. Those that survive the raid are rescued by Shalako, a former cavalry officer, who attempts to lead them to safety at a nearby fort. Before they can reach their destination, however, the Apaches return for retribution, forcing Shalako into a duel to the death with Chato, the son of the tribal chief. Based on a book by the Western novelist Louis L'Amour. This brief film recounts an episode in the life of legendary twelfth-century feudal lord Minamoto no Yoshitsune (Tadayoshi Nishina). Fearing execution at the hands of his brother, Yoshitsune attempts to flee through a mountain pass to reach safety outside his brother's dominion, accompanied by a local guide (Kenichi Enomoto) and six loyal samurai, including the warrior monk Benkei (Denjiro Ookoochi). The pass is guarded by a large force loyal to Yoshitsune's brother so Yoshitsune and Benkei are compelled to use deception not brawn to make their escape. 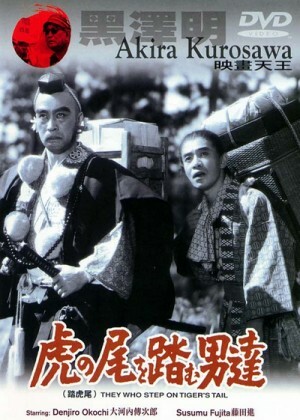 The first of two sequels Kurosawa would make due to studio pressure (the second was Sanjuro in 1962, the follow-up to 1961's Yojimbo), Sanshiro Sugata, Part Two returns will all the principal cast of its predecessor, but with a storyline far more propagandist than the first, contrasting Japanese martial arts as noble art form versus American boxing as ignoble bloodsport. During the film's first half, Sugata thwarts a bullying American sailor and bests America's champion boxer. 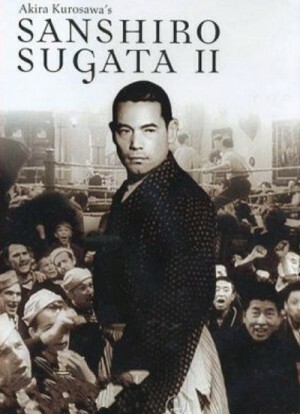 In the second half, Sugata rises to a new challenge presented by the two brothers of the prior film's arch-rival Gennosuke Higaki. Actor Ryunosuke Tsukigata does double duty playing both the physically shattered Gennosuke Higaki and the new threat, karate master Tesshin Higaki, while Akitake Kono convincing plays the deranged Genzaburo Higaki.